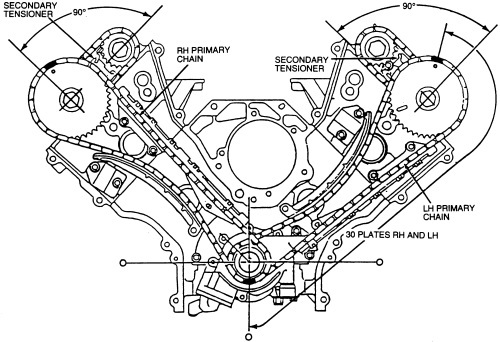 Can a broken timing chain be replaced on a 2003 Lincoln aviator 4.6 v8? the timing chain can be replaced. You just need to ensure there is no damage to the valves or pistons. I do not believe that is an interference engine, so you should be able to just replace the chain and be ok.If my answer has helped you, please help me by rating 3 stars or higher, or accepting my answer. This does not cost you any more, it just allows me to be credited for my work. Feel free to ask further questions after rating/accepting. Thank you! Even if it’s the exhaust side, Small chain? they can be replaced. Again just need to ensure there is no damage to the engine from it breaking. Last question, would you happen to have the timing marks for the chains? If my answer has helped you, please help me by rating 3 stars or higher, or accepting my answer. This does not cost you any more, it just allows me to be credited for my work. Feel free to ask further questions after rating/accepting. Thank you! 98 continental V8 4.6 repair/replace pully for serpentine belt.